It seems like everyone is getting fatter. And the diet and weight loss business keeps getting bigger and bigger. You’d swear that every day brings about a new, miracle diet, or innovative magical food plan. South Beach, Atkins, Low-Carb, High-Carb, Mediterranean, Protein Power, Grapefruit, Cabbage Soup and it goes on and on and on. Not to mention the ones that sell you the food like Weight Watchers, Nutrisystem and Jenny Craig. Let’s face it, most diets are annoying, complicated and restrictive. This makes them almost impossible to stick to for any length of time. Results happen initially on almost any type of diet, then they slow down, and then people go off the diet and don’t go back. Well, maybe in another year or two when they’ve gained all the weight back and more and they try another diet that is guaranteed to deliver results. Is there any hope? Exercise of course, but we’re talking the food part of the equation right now! There is nothing easy about eating “right.” No matter what diet you are following you’re only eating certain foods or having to count calories (or points), or macro nutrients or SOMETHING! Even if you are highly motivated and disciplined, it’s not easy to do and can be quite time consuming. Seems like when you aren’t eating, you’re thinking about preparing to eat, or just preparing to eat! Oh, and good luck eating out with friends or family! Because of all this and many other reasons, it’s something like two or three percent of dieters that lose weight manage to keep the weight off. That is not a good track record of success! So what can be done? How can dieting be made simpler and easier to follow? Look, let’s not get crazy into all the nitty gritty, but your genetic code just isn’t used to the abundance of food available nowadays. It’s like one big meal, all day every day. That’s not how humans are wired. We are used to overeating when food is abundant and eating less when it’s scarce. The mind is a powerful thing. It’s annoying sometimes! If your most favorite thing to eat in the world is a Big Mac and you go into a diet knowing you’ll never eat a Big Mac again what does your mind focus on relentlessly? What do you crave? A Big Mac! Of course! And you’re hungry all the time on a diet, right? You’re constantly thinking about your next meal, which doesn’t even fill you up. You never get any relief from the hunger until you break down and binge, eating a week’s worth of calories in an hour! Let’s get away from that, it’s a losing battle. It is possible to lose weight without being deprived of your favorite foods, without counting calories and without being hungry all of the time. Don’t eat less all the time. Instead, eat less often, just some of the time! This is a concept known as intermittent fasting. In its simplest terms, it is extending your natural fasting periods that occurs during sleep, a couple of times per week. 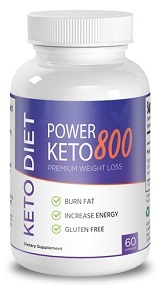 This naturally reduces the amount of calories eaten, keeps you from being hungry all the time, and allows you to lose all the weight you want, without the restrictions and difficulty of typical diets. But it’s not just weight loss, it’s also improved health. According to Brad Pilon, author of Eat Stop Eat, over 314 peer reviewed studies on intermittent fasting have shown multiple health benefits. Intermittent fasting has other positive effects when it comes to weight loss. One of the most powerful fat burning hormones your body produces is growth hormone. In numerous studies, intermittent fasting has shown to increase the body’s natural growth hormone production by 700% (some studies have shown up to a 2000% increase). Growth hormone is an incredibly effective fat burner, which is why many models, athletes, bodybuilders and celebrities take synthetic growth hormone. All the wonders of intermittent fasting and the different ways to approach it are too numerous to cover in one article. One way is to eat normally five days a week and on the other two, you don’t eat from bed time until dinner time the next day. For some people that is really difficult. Another option that has become popular is also known as the 16:8 Diet. This keeps things really simple. You eat in an eight hour window each day and fast for sixteen hours. For example, you eat in the window of noon until 8 pm and fast from 8 pm until noon the next day. If you struggle with losing weight and can’t seem to stick to a diet, try giving intermittent fasting a try. Previous Previous post: How Does Strength Training And Cardio Benefit Bone Health?